Only the selected beef of excellence carry the name of "Hitachiwagyu Beef" The Hitachiwagyu Beef, which are taken only from Japanese Black raised for over 30 months in Ibaraki prefecture with a carefully selected fodder and a honed technology, have a quality graded 4 or 5 of the A or B class according to the scales of the Japan Meat Grading ssociation. Product of a Fertile Land, " Hitachiwagyu Beef"
According to the Hitachi Fudoki, the providence of Hitachi( the current Ibaraki Prefecture) looked like an Arcadia in its old days. Indeed the region, blessed with a mellow land, has been a mojor agricultural site since ancient times, one of prominent granaries in Japan. 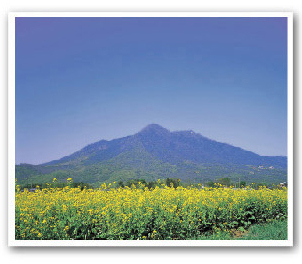 Ibaraki is located in the north of the Kanto Plain lying at the center of the Japanese Archipelago. The eastern edge of the prefecture is a 180km -long coastline that beautifully stretches along the Pacific Ocean. The rich soil, abundant natural environs, and year-round mild climate are an ideal combination for nurturing high-quality foodstuffs. One of the examples is the Hitachiwagyu Beef. This high-end branded beef is, however, also a fruit of quality improvements and knowhow development staunchly made by the designated farmers. 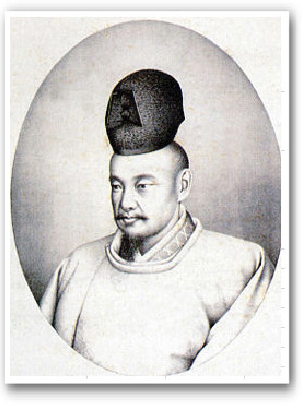 Some records indicate that, in December 1832, the then domain lord Tokugawa Nariaki built a stock farm in Mito to raise black cattle. The farm, named Sakuranomaki, is said the have been located around where Migawa-cho stands today. 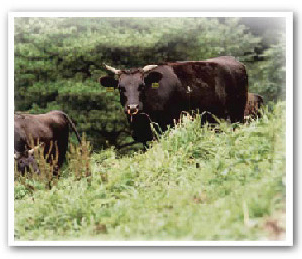 In July 1976, a committee was set up to promote the branding of Ibaraki-bred beef. In 1977, the committee was organized into the current Ibaraki Hitachiwagyu Beef Promotion Association. The Black Cattle were first colonized in the north of Ibaraki and then sent out to other pastures across the prefecture. And, as a result of hard work and commitment of those farmers around Ibaraki, the Hitachiwagyu Beef come to be known as a superior breed. Copyright ©2015 Ibaraki Hitachiwagyu Beef Promotion Association. All right reserved.